Click the button below to add the Mike's Vidalia Onion Relish - 11.5 fl oz. to your wish list. Buy the best Jellies, Jams & Relishes online! Georgia's famous sweet Vidalia onions make Mikes Vidalia Onion Relish the perfect compliment to your southern meal. It is delicious on peas or just as a condiment. Ingredients: Vidalia Onions, water, cane sugar, cabbage, red bell peppers, distilled vinegar, mustard (distilled vinegar, mustard seed, salt, turmeric, spices), salt xanthan gum, turmeric, spices, less than 1/10 of 1% potassium sorbate added as a preservative, cayenne pepper and pepper. Net we 11.5 fl oz (.72 lbs). Place your order today! 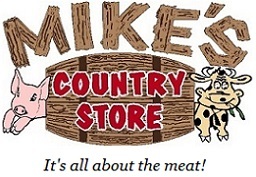 Mikes-Country-Store.com offers a 100% Guaranteed Quality to all customers. If you are not completely satisfied, we will give you a refund. Place your order today at Mikes Country Store online, Risk-Free! We offer Mikes County Dry Rub too! It is great on steaks, ribs, pork, or chicken. We also offer fresh, smoked, and pre-cooked meats online. Whether it is Beef, Pork, or Chicken you are looking for, we sell beautiful USDA inspected meats that are sure to impress your guests.